Augustus Joseph Francis "A.J." Gates was born 26 May 1887 in Hartwell, Springfield, Hamilton, Ohio. He was the second youngest of eight children born to John Charles Marcus Gates and Elizabeth LaSalle. 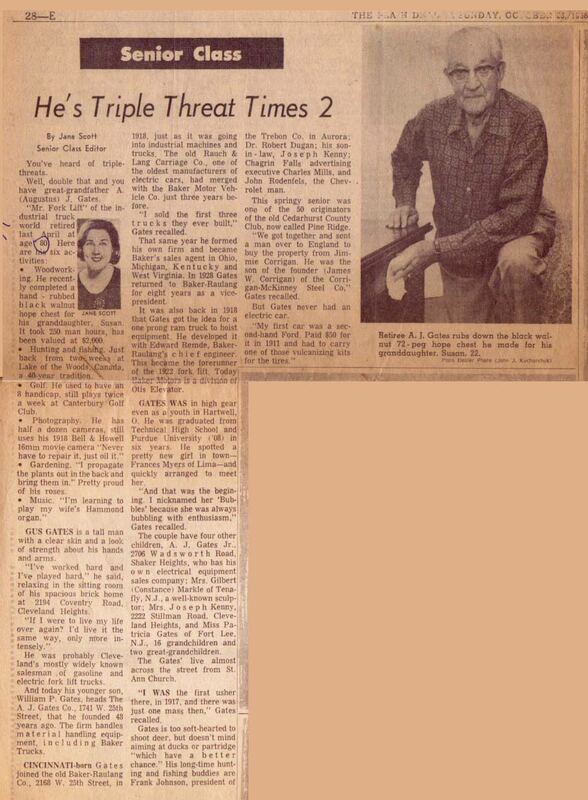 Enjoy the article below written about him, published in the Plain Dealer, Oct 23, 1966, Cleveland, Ohio.